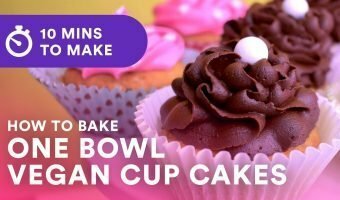 Simple one bowl cupcakes baked the vegan way by Sara Kidd. Follow the video, get the recipe. 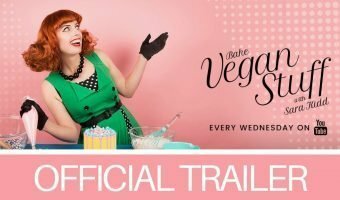 Bake Vegan Stuff with Sara Kidd that launches on 23rd January 2019 on YouTube. Check out the trailer here! 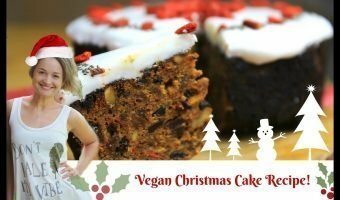 Why Not Make A Vegan Christmas Cake This Year? Christmas Cake suitable for vegans via Om Nom Health. 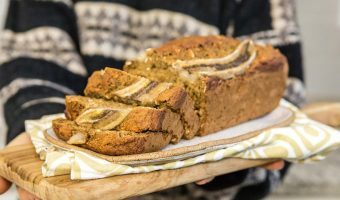 watch the video for how to make and all the ingredients. Gluten-free. Dairy-free!